Standalone GPS navigation devices were all the rage a decade ago but once smartphones were capable of performing the same job, their popularity receded and it became apparent that manufacturers would need to bring more to the table to regain lost market share. 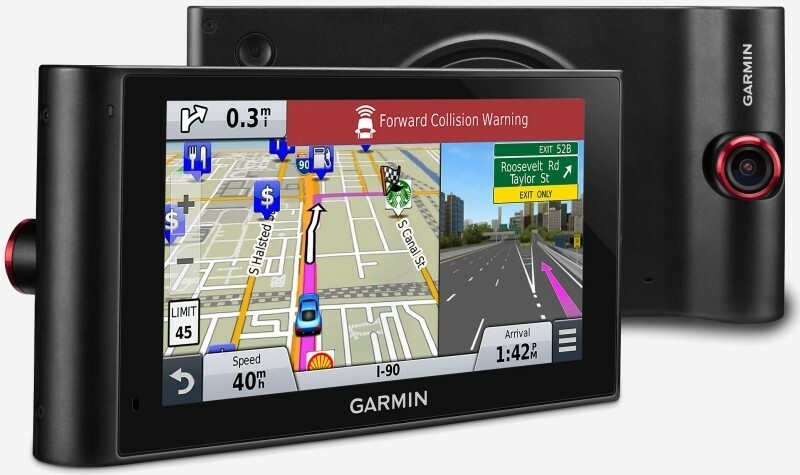 Garmin’s latest may do just that as it combines a couple of emerging trends with proven GPS navigation. The NuviCam LMTHD features a 6-inch, pinch-to-zoom display and the industry’s first built-in dash cam. In addition to the obvious ability to record your commute each day, the camera’s software can provide audible and visual forward collision and lane departure warnings. The system also includes augmented reality functions. For example, it can overlay numeric addresses and add an arrow-shaped indicator to help locate your exact destination when you get close. The unit can even link up to your smartphone via Bluetooth for hands-free calling and pair with Garmin’s optional backup camera to use as a display. All of this is of course in addition to its primary GPS functionality which includes detailed maps of North America that are updated free for life and recognizable landmarks to make navigation feel more natural. The unit also offers voice-activated navigation meaning you can simply speak your destination or other commands without having to take your hands off the wheel. The Garmin NuviCam will go on sale next month at a price of $399.99.